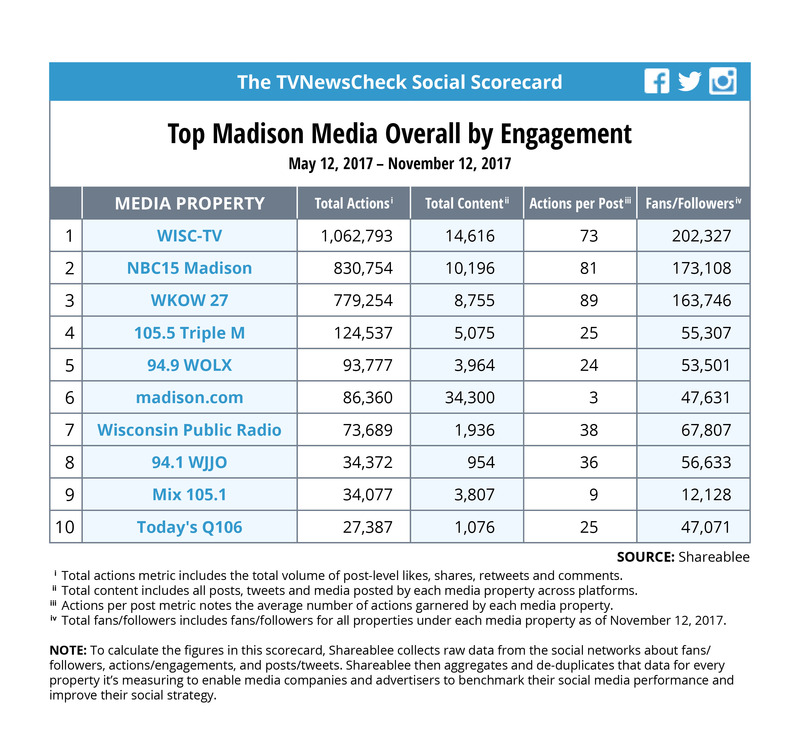 WISC, the CBS affiliate in Madison, Wis., owned by Morgan Murphy Media, commands a slight lead in social media actions in the market over the last six months according to data from audience insight firm Shareablee. WISC has more than 1 million actions on social, 32% of the total engagement generated by the DMA (No. 81), with more than 3.2 million social actions. WISC also leads on Instagram with more than 11,000 actions. WKOW, the ABC affiliate owned by Quincy Media, led the market in actions per posts on Facebook with 89. WMHX-FM, (Mix 105.1), a hot adult contemporary station owned by Entercom, led the market on Twitter with more than 11,000 actions. 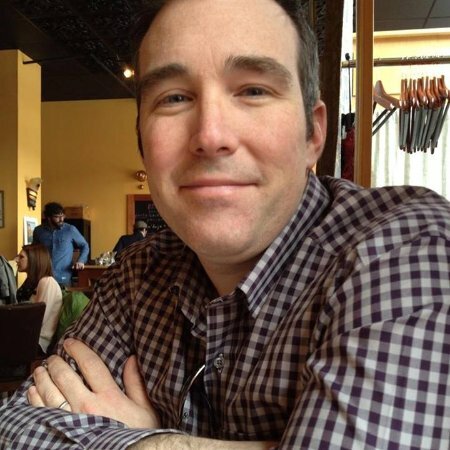 Colin Benedict, WISC’s news director, says the station’s aggressive response to breaking news is one of the reasons for its success on Facebook. “We just provided the viewers a glimpse of what was going on on the scene and this is the type of thing that people are going to respond to,” says Benedict. Benedict says the station takes a statewide approach to content on Facebook. And sometimes, WISC will go wherever there is a story to tell. Leah Linscheid here outside Goliad, TX – take a look at some of the devastation these families are dealing with. One of the strengths of Facebook Live is its ability to interact with people in a first-person storytelling situation. Talking to people in real time via Facebook Live, says Benedict, works well when people have questions about a story that might affect them. “In the wake of the Equifax hack, we are getting so many comments from our viewers saying, I don’t understand this, I need more information. So we decided to do a Facebook Live that was essentially where we brought experts in and then we did it almost like a town hall that the people asking the questions were on Facebook, then we had an anchor presenting that to the experts and it got pretty good engagement. SPECIAL EVENT NOW: Join us #LIVE to get #EquifaxHelp! What questions do you have for our experts? WISC regularly streams a Facebook Live session in the morning. Good morning, everyone. We broke a record with the heat yesterday. We could see more record-breaking days through the weekend. Haddie has a very hot, humid forecast. Plus, Eden is live with a preview of Steven Pirus' initial appearance in court. We hope to learn more about the states case against him this afternoon. What's going on in your world? Talking to viewers and getting their feedback on Facebook gives WISC opportunities to be more responsive to what its viewers want, something that wasn’t always the case before Facebook.